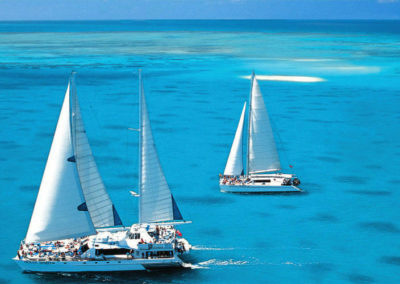 Sail the Great Barrier Reef and visit the famous Michaelmas Cay on this day cruise. This small and personalised cruise takes visitors out to the wildlife haven. See nature at its best with an abundance of birdlife calling this cay home. You will also explore the surrounding coral reefs and come face to face with the colourful coral and fish that make the Great Barrier Reef a natural wonder of the world. 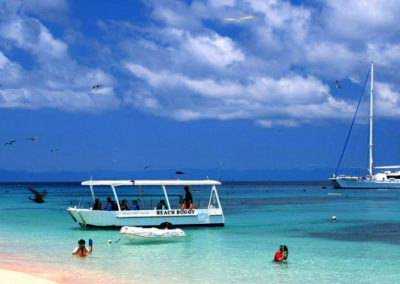 The full day sailing cruise gives you up to 4 hours at the reef to swim, snorkel or take a stroll on the cay. 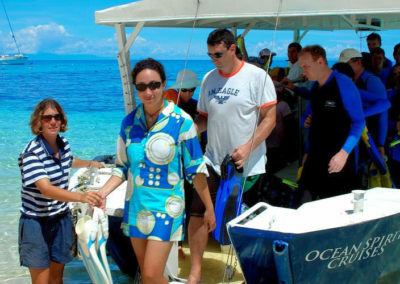 Visitors are also treated to a semi-submersible coral viewing tour. 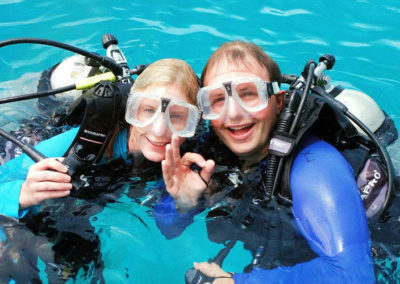 This is perfect for non-swimmers who want to stay dry but still explore the Great Barrier Reef. A delicious morning tea, buffet lunch with seafood and afternoon tea is also included in your sailing cruise. 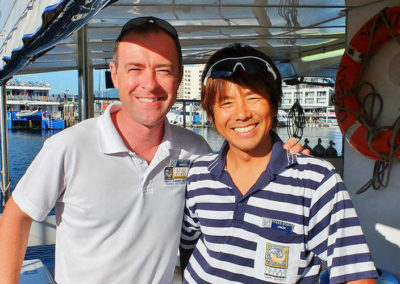 The cruise departs daily from the Cairns Reef Fleet Terminal. The $6.50 APF Levy is not included and is payable on the day. 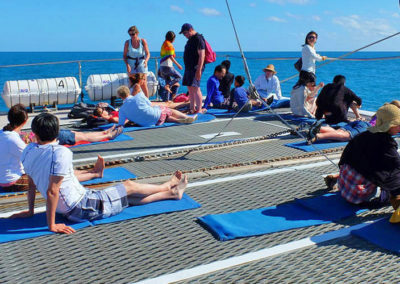 Spend a day exploring Michaelmas Cay on this sailing cruise. Book online today !